Are you retired and looking for an employment opportunity where you can work flexible hours helping seniors with activities of daily living such as meal preparation or escorting to doctor’s appointments with seniors – just like you? Look no further! 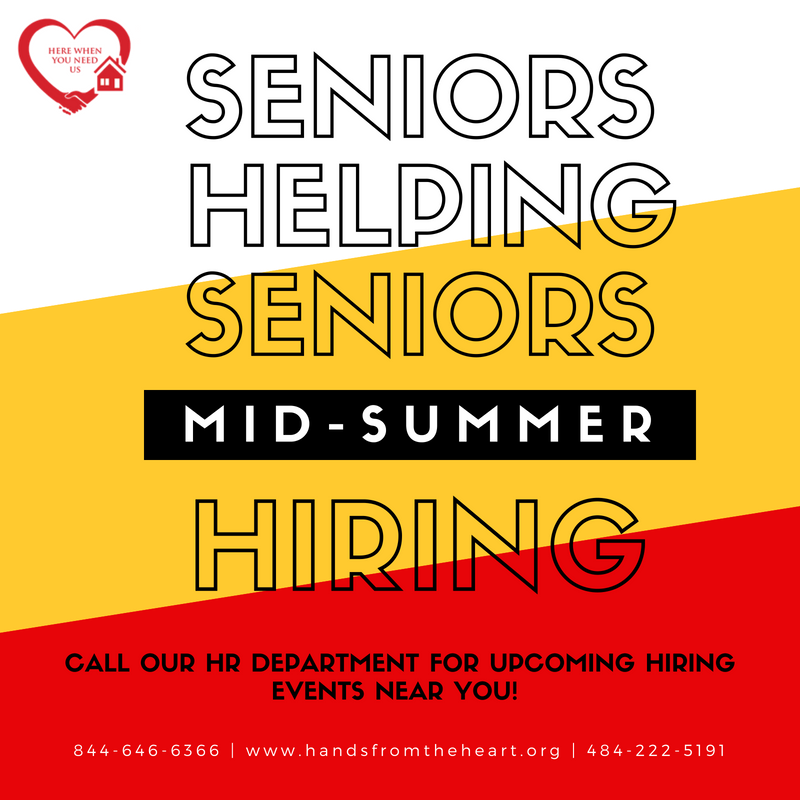 Hands From The Heart Home Healthcare Services has created a “Seniors Helping Seniors” campaign, where we are employing just seniors to help senior clients from our agency. At Hands From The Heart, we recognize the value, dependability and work ethic of our friends and neighbors who are seniors — and more importantly, who want to remain active and continue working on their schedule well into retirement. If this is you — then Seniors Helping Seniors could be just the right opportunity for you! We also hire family caregivers, as long as the caregiver is not a Person of Authority (POA) for the client or a married spouse, the family member can care for the client and become an employee of Hands From The Heart. Here at Hands From The Heart, we treat our caregivers like family. We offer a comprehensive compensation package for all full-time caregivers including: competitive salary, full benefits (medical, dental & vision), 401k plan, life insurance policy and more. If you’re a senior and are interested in becoming a caregiver with Hands From The Heart, please call (484) 222-5191 for more information. Apply online at www.handsfromtheheart.org to join our team today!